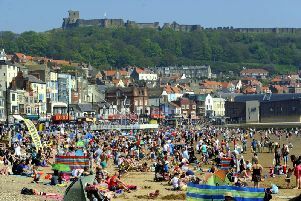 Parts of the region hit highs of 28C earlier this week, with Leeds enjoying its hottest day of the year on Monday, and more hot weather is on the way, with some areas of the country predicted to reach temperatures as high as 35C. The unusually warm weather has the UK on track for the hottest June in more than 40 years, when the mercury rose to a sweltering 35.6C in the summer of 1976, while July's record stands at 36.7C, which was set in 2015. The hottest year on record for the UK currently is 2014, with a mean temperature of 9.9C across the whole year, and the same record also stands for Yorkshire, according to the Met Office Data. With the sweltering weather set to continue here in Yorkshire, it raises questions of comparison to other, more tropical parts of the world. 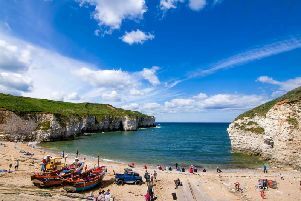 The warmest temperature for Yorkshire so far this month was 28.5C, which occurred on Tuesday 25 June at Linton-on-Ouse. But how does the current pavement-cracking weather compare to the rest of the world right now? Yorkshire is currently enjoying higher temperatures that large swathes of soutern Europe today, with Barcelona (25C), Dubrovnik (25C), Athens (26C), and Rome (27C) all sitting below 30C. The popular holiday destination of Tenerife in the Canary Islands, meanwhile, can only expect a high of 26C - a temperature the same, or lower, than some part of Yorkshire today, including High Benton (27C), Sheffield (26C) and York (26C). Looking further afield, Yorkshire is on par with more equatorial locations like Miami (26C), Tel Aviv (27C) and Rio de Janerio (27C), and is a mere 1C or 2C lower in parts than Mumbai (28C). Yorkshire is, however, still well below the sweltering conditions in the Middle East, where temperatures in Dubai and Qatar could exceed 40C. With temperatures for the weekend and early next week set to be in the low 20s, Yorkshire's June record of for this year of 28.5C looks unlikely to be beaten. Although with meteorologists predicting the UK could be set for between five and eight more spells of very warm weather over the next few months, setting a new record high isn't out of the question.